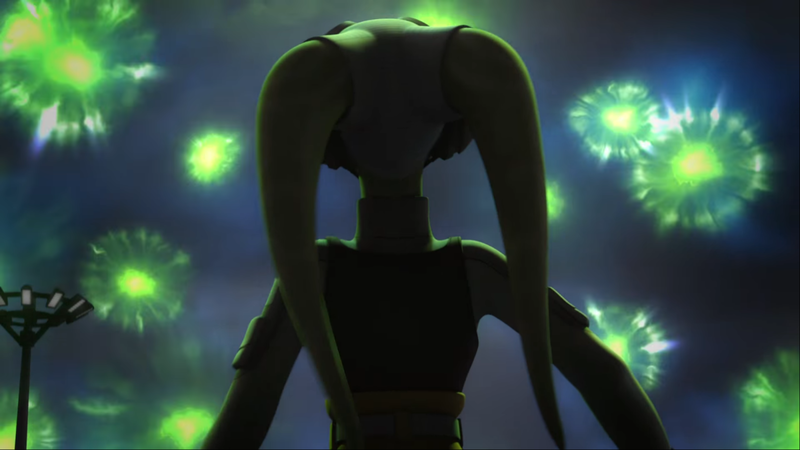 Welcome back Rebels fans to the last recap for season 3 of Star Wars Rebels “Zero Hour Part One & Two” in a finale that was truly epic. The entire time I was watching it I was on the edge of my seat because I wasn’t sure our rebels would make out of this one. The odds were stacked against them as always, and their opponent seemed unstoppable but some way they prevailed. In this season finale, there were victories and sacrifices on both sides and plenty of unanswered questions. Which means there will be a season 4 of Star Wars Rebels. I was worried that the gap that they were filling was complete, but I’m relieved that there are more stories to be explored with our rebels. So, without further a due let’s relieve this finale together and from this point on an SPOLIERT ALERT is in effect. 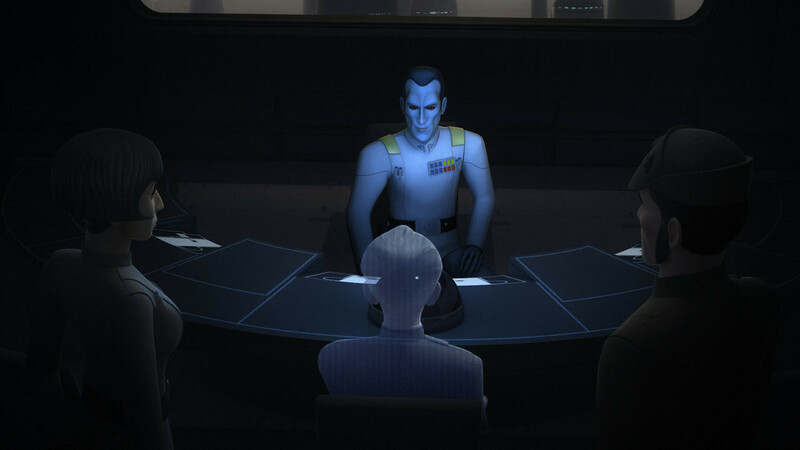 The episode begins with Grand Admiral Thrawn landing on Lothal to deliver some confidential news. In this opening scene, we see our first glimpse of the Imperial Death Troopers on Star Wars Rebels but who were first seen in Rouge One: A Star Wars Story. 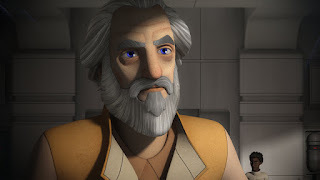 We also see Agent Kallus lurking in the corners using a droid to gather information from this secret meeting. In the meeting, only Grand Admiral Thrawn, Governor Pryce, Konstantine, and Grand Moff Tarkin are in attendance. 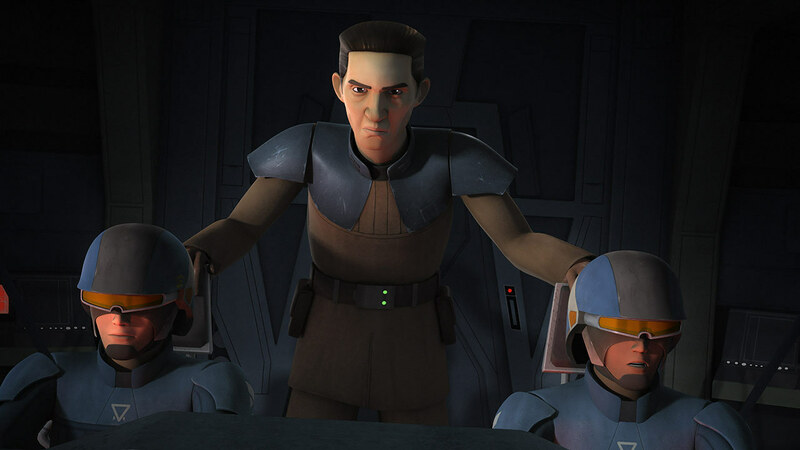 They discuss the impending rebel attack on Lothal and create a plan to catch the Rebels off guard and plan to capture them and make an example out those who defy the Empire. 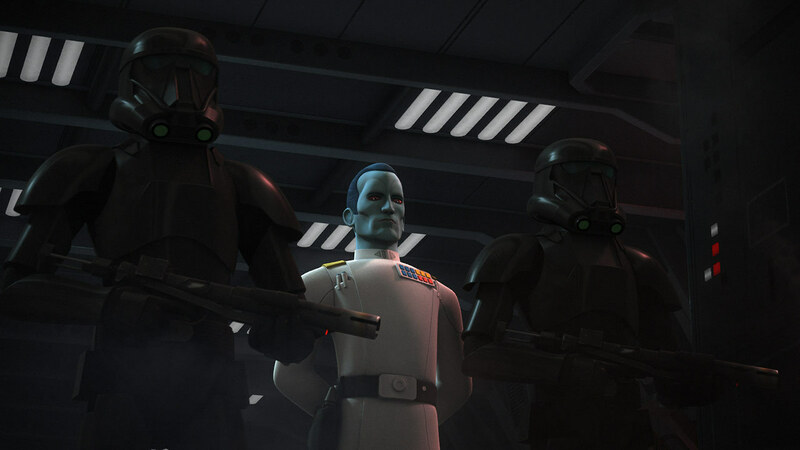 The time to liberate Lothal is coming to fruition with the rebels welcoming General Dodonna. He will help in the fight for Lothal along with his fighters. 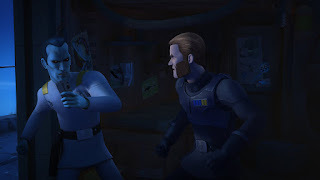 The next scene shows Agent Kallus sending a warning out to the rebels but he is stopped by Grand Admiral Thrawn who we know knew that Kallus was Fulcrum. So, they fight in a cool hand to hand combat all the while Kallus managing to get the message to the rebels. Unfortunately, he is captured by Grand Admiral Thrawn, and he calls Kallus a rebel which he takes as a compliment. Grand Admiral Thrawn has now discovered the location of the rebel base though the signal Kallus sent to warn them and the trail left by General Dodonna. The rebels receive part of that message but can deduce that Grand Admiral Thrawn is on his way to Atollon aka Chopper Base. 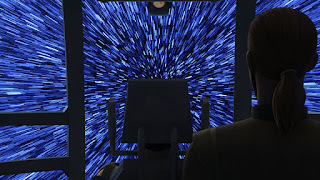 This allows our rebels little time to prepare before Grand Admiral Thrawn shows up full force equipped with the Imperial Interdictor which can block ships from jumping to hyperspace. So, for rebels, there is no escape or least, not one that is easily obtained. 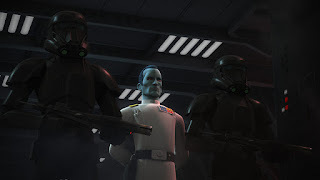 Grand Admiral Thrawn asks for the rebels to surrender and of course, they decline which leads to a space battle. 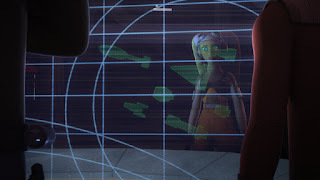 Hera believes that if we can get one fighter through then, they can call reinforcements to help everyone else escape. The successful pilot that was chosen was Ezra, and the plan is to create an opening for him to escape to get help. 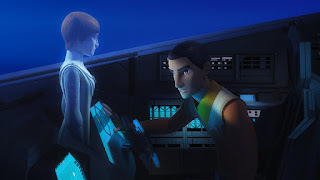 Kanan, on the other hand, thinks it’s a good idea to call on the Bendu for help against the Empire. It’s no surprise that he refuses to fight and is furious that they brought war to the planet. The Bendu is like Switzerland he wants to remain neutral. But when Kanan makes a mistake by calling him a coward he then becomes a storm of rage, and Kanan quickly leaves for the base. Not knowing what he unleashed but he will very soon. The next scene was heart-wrenching because the only way to break the blockade was for Commander Sato to sacrifice himself and his ship. 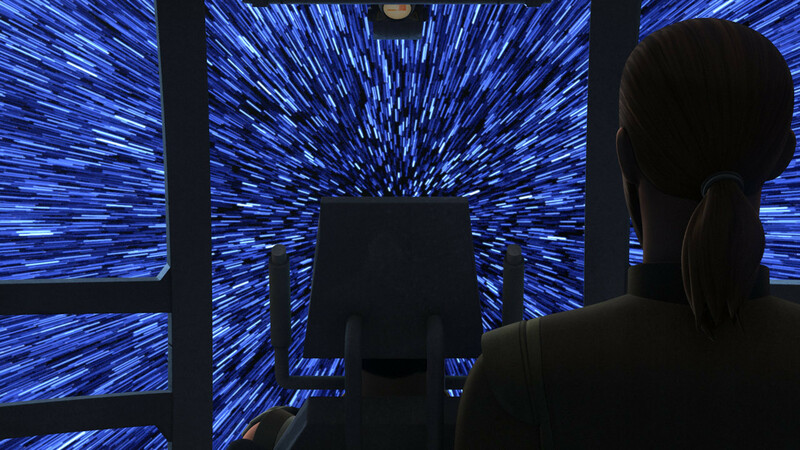 Before the fight started Grand Admiral Thrawn ordered Konstantine, who is aboard the Imperial Interdictor to hold his position. 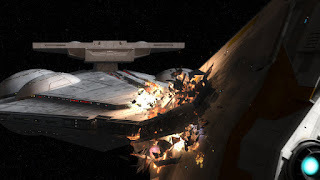 But when Commander Sato along with two other crew members started heading for an opening Konstantine moved to intercept and was rammed by Commander Sato’s ship and destroyed. 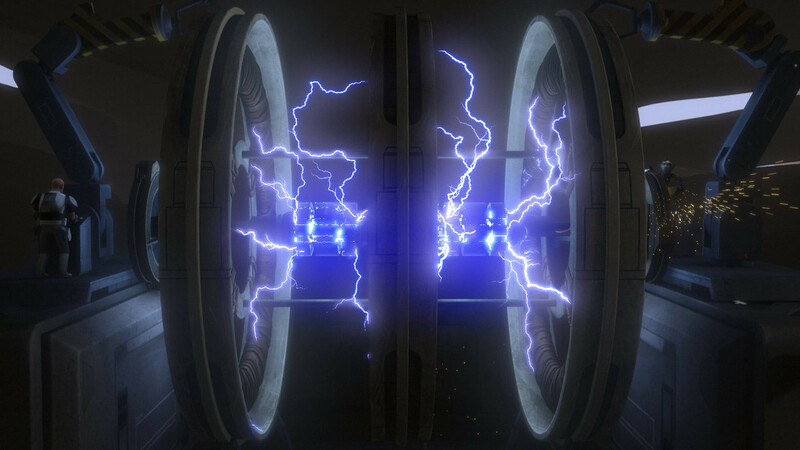 This allowed Ezra to escape into hyperspace and make a call to Mon Mothma for help against the Empire. Unfortunately, she believes this will put the rebel alliance at risk to reveal itself to the Empire. 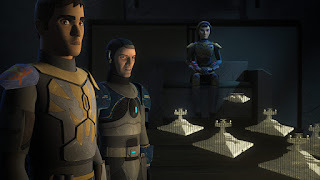 So, Ezra then decides to go to Sabine for help and reinforcements. Meanwhile Hera is forced to ground all fighters and uses Sabine’s shield generator which is pushed to the limit when the Empire starts to release rapid fire down on it. 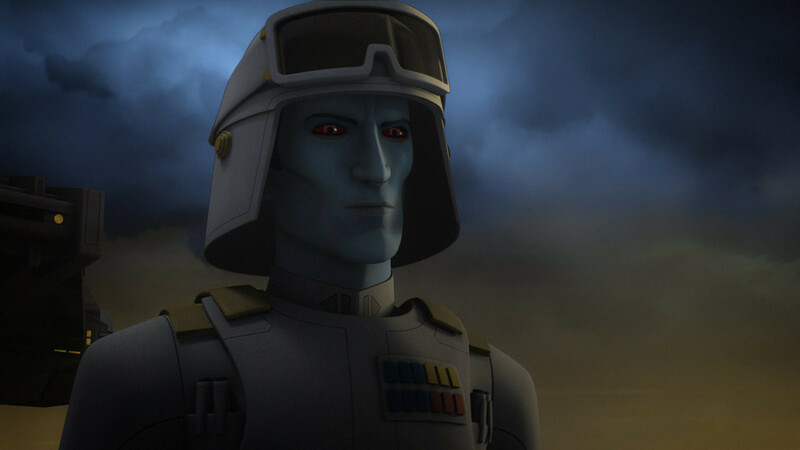 Grand Admiral Thrawn leaves Governor Pyrce in charge of the fleet while he takes ground forces down to the planet. 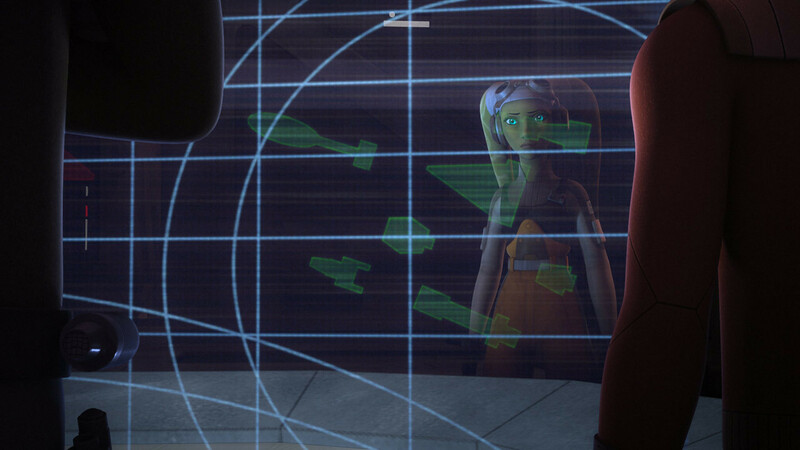 Ezra reaches Krownest and asks Sabine for help, and they can’t spare many fighters because they too are at war with the Empire. But she will accompany Ezra, and a few other members of her clan came as well to help her rebel family. 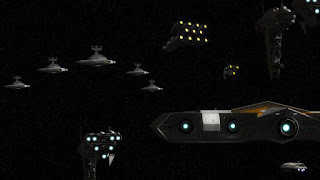 The new plan now is to take down the last Imperial Interdictor so that the rest of the rebels can escape. But down on Chopper base, they are preparing for the upcoming ground assault. The shield is still active, but it does stop people or vehicles from walking right though, something that Zeb makes a point to say needs improvement. Grand Admiral Thrawn has the rebels surrounded and once again calling for them to surrender, or he will shoot them starting with Kanan. 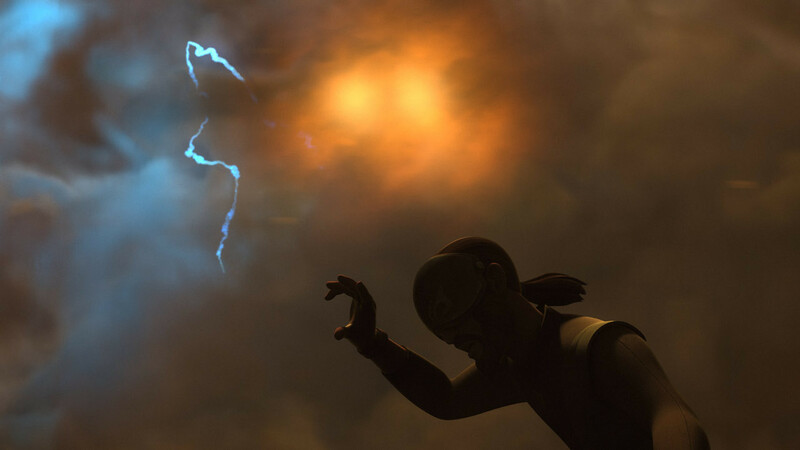 But before the threat can be completed a mystical storm interrupts them and the Bendu yells though to leave his planet now. The Bendu starts to destroy everything and not just the Empire but the Rebels also. Grand Admiral Thrawn is taken back just long enough for our rebels to run to their ships. Meanwhile, Ezra and Sabine arrive to take out the Imperial Interdictor by using a ground assault approach in space and succeed in taking down the ship. Governor Pyrce, on the other hand, seeming little overwhelmed orders Kallus be thrown out the airlock. 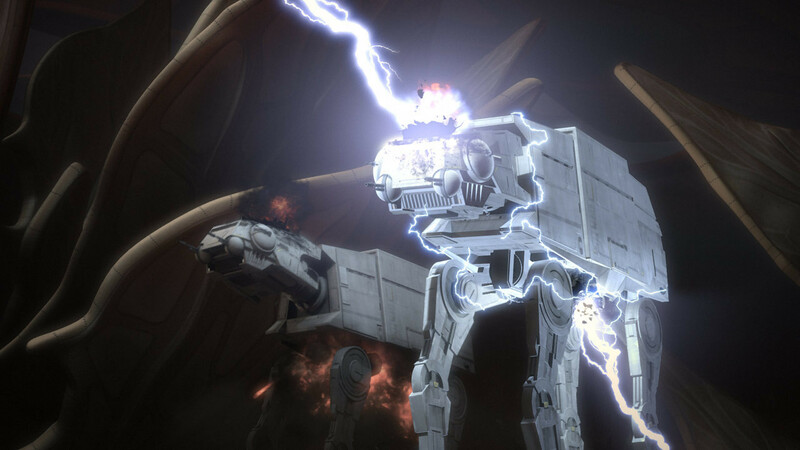 Which wasn’t the smartest call because he easily takes down the two Stormtroopers and escapes into escape pod and signals a pick up from the Ghost crew. 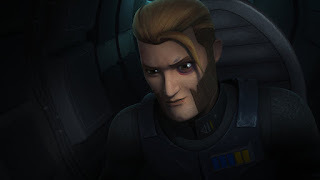 The rebels that have survived this encounter can now escape, but Sabine must return to Krownest to continue helping her people against the Empire. Back on Chopper Base Grand Admiral Thrawn shoots down the Bendu and they surrounded him. The Bendu probably says one of my favorite lines this episode because he predicts Thrawn’s defeat which startled him. 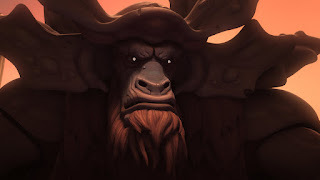 The Bendu says, “I see your defeat. 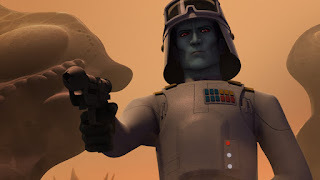 Like many arms surrounding you in a cold embrace.” Grand Admiral Thrawn immediately goes to shoot Bendu in the head but he disappears and his laughter his heard echoing through planet. The episode ends with Kanan and Ezra talking about the future for the rebellion. We hear in the background that they are heading to Yavin which we know is where Rebel Alliances are in New Hope. Kanan says, “There’s a future for us, one where we’re all free. But it’s up to us to make it happen.” There are more questions to be answered through these characters driven stories that will be shared for the next season. The thing I most excited to see next season is the fight going on at Mandalore and Sabine’s journey to becoming or finding the true leader. Until next season rebel fans and may the force be with you always.